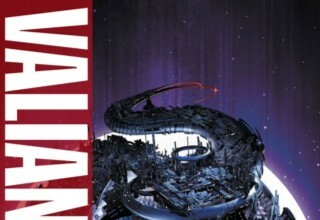 IVAR, TIMEWALKER Dashes Towards its Finale, This Week in Valiant! Welcome to another week of Valiant comics! 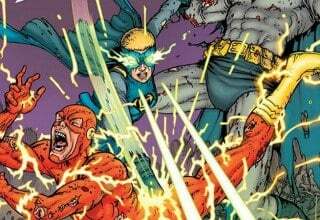 We’ve got two issues this week, steeped in Valiant lore and character growth. 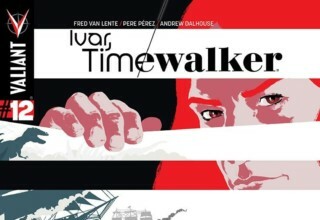 Fred Van Lente’s continuing, impressive examination of the Anni-Padda clan gets close to an apparent end with the penultimate issue of IVAR, TIMEWALKER, while Robert Venditti’s X-O MANOWAR sets up its next arc efficiently, though it is a bit sparse in the world-building aspect. This is a dense issue, both in the growth of Ivar and Neela’s relationship and in building to next month’s final issue. This is sort of surprising, seeing as the planet Ivar and Neela occupied through the beginning of this story arc was hit by a meteor. It should come to no surprise that the Timewalkers escaped the destruction of the planet, but the manner in which they do so is quite exciting. Neela, now the expert Timewalker alongside the amateur, time-displaced Ivar, managed to teleport the pair outside of reality, allowing them to view their intersecting lives in a number of alternate realities. In trying to escape their predicament, they grow closer and face the tragic consequences of their situation. CLICK: Our interview with Greg Pak! Placing the pair outside reality (and away from other characters) let Van Lente explore their relationship further, a very welcome penultimate chapter to this story. The alternate realities were wonderful fun, and their appearances in this issue (called “Kaleidoscape,” appropriately) enhance the personal relationship (and growing love) between Ivar and Neela. Their examination of the “what ifs” lends a certain sadness due to their situation. At this point in their relationship, Neela arrives towards the end of her personal timeline (though she doesn’t know it yet) and Ivar towards the beginning of his very long life. The immutability of time, amidst their travels through millennia and alternate universes has become an important aspect of their relationship, which I think is now officially a tragedy. Pere Perez is really on point this issue. His depictions of the numerous alternate realities isn’t as overtly hilarious as the clown Vikings or dinosaur romans from the last few installments, but there are dozens of depictions of alternate Ivars and Neelas; some tragic, some humorous, but all very interesting. The plotline following this character-building session was a bit routine. Well, maybe not routine, but it was easy enough to figure out how Neela’s decisions led to her unfortunate future as an evil space tyrant. On a side note, I am very glad to see Ank, Ivar’s new ankylosaurian companion, and I hope that she will take a larger role as we move into the final issue of the series. It’s been a great run, and I really hope that Ivar and Neela will reappear in the upcoming A&A series. Van Lente’s absence will be unfortunate, but maybe he has something cooking that I don’t know about. 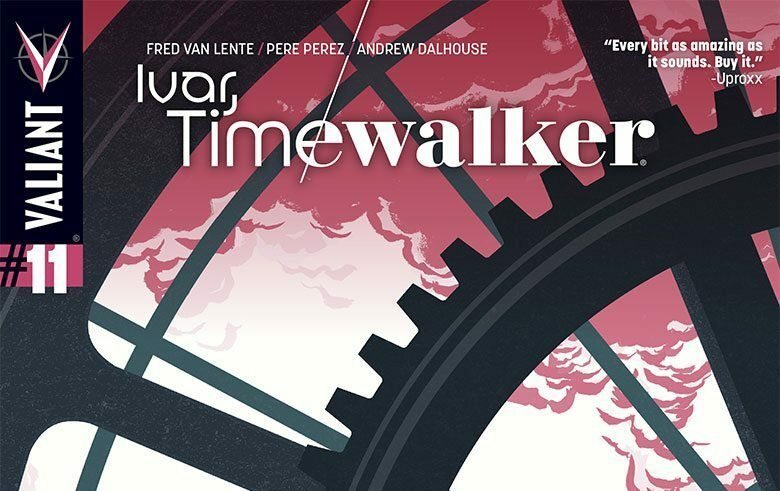 IVAR, TIMEWALKER has been a worthy follow-up to ARCHER & ARMSTRONG, while allowing Van Lente, Perez, and the other creative members on the team to stretch into some incredibly unique story opportunities. The “Exodus” arc has been a treat, showing Aric’s warrior heritage and attitude cross with his new role as leader, liaison, and king. Last issue, Commander Trill, Aric’s nemesis and chief evil Vine at this point, ordered one of his Vine/human crossbreeds to assassinate the Vine High Priest, provoking what was already a tense situation into all-out battle. As the High Priest clings to life, Aric desperately seeks solutions to avoid the threat of war and the certain loss of life that would ensue. READ: Our review of the exciting VENOM: SPACE KNIGHT #1! Unfortunately, Aric’s solution is a bit of a deus ex machina solution. He speaks to the Priest in the shared Vine headspace and develops a solution befitting his character. It’s a pretty standard way to end an arc, though it makes sense for Aric to approach the situation in the most brutish way possible. He’s a cunning man, and he knows how to utilize his resources to solve even complex situations. Sandoval’s art is effective this issue, though it’s mostly dedicated to explosions and action lines between the two warring factions. 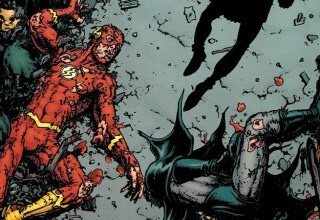 While this arc explored Aric’s character more, it did not address the fallout of the Vine’s attempt to settle on Earth. This could be a part of the next arc, but at this point it seems like only the immediate issue was solved at the end of this storyline rather than anything set up in the background. I’m hesitant to make too much of a judgment yet, but I want to see more of the world. Next, apparently, Aric will be joining with Ninjak to hunt Trill and his associates. 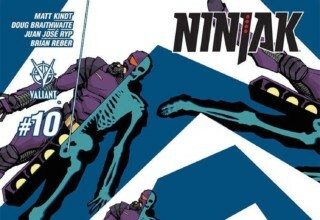 Ninjak is in a lot of comics in January actually: his own series, X-O MANOWAR, and BLOODSHOT REBORN. Not that I’m complaining, I love the character. 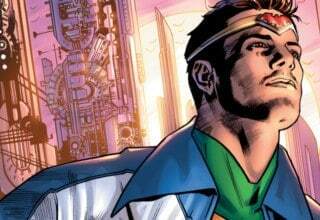 X-O MANOWAR’s “Exodus” arc let Venditti build on his character, though many of the elements introduced, and the necessary effects of Aric’s decisions (and Trill’s treachery) are not shown on the page. I think it’s important for readers to see those things in order to enhance the cohesion of the Valiant universe, one of its most important elements. Next week’s Commander Trill special might be just what I’m looking for! READ: What we think of THE MANHATTAN PROJECTS! Aric’s nemesis Commander Trill gets an issue spotlighting his villainy in X-O MANOWAR: COMMANDER TRILL #0. Based on the end of this week’s X-O, we should see him transitioning into a more nuanced character, rather than a ruthless death machine. 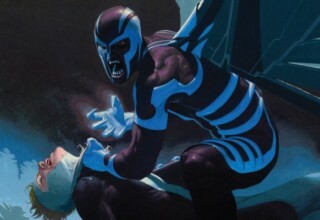 However, he was still finding himself in the BOOK OF DEATH tie-in, so who knows! See you then! 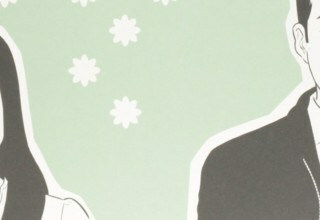 Previous article Double Take MEDIC #2 Review- Who’s in Charge, Here?